Science, isn't it great? Especially when it's bringing us fascinating insights like this one: there could be up to 500 species of arthropods — insects, spiders, mites and centipedes — living right alongside you in your home. Apparently, the war on bugs was always a lost cause. 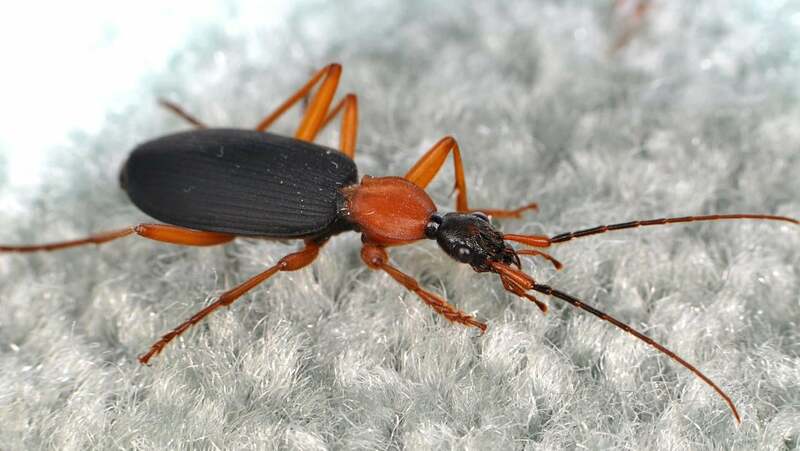 "This was exploratory work to help us get an understanding of which arthropods are found in our homes," said Matt Bertone, the University of North Carolina entomologist who led the enlightening new study. "Nobody had done an exhaustive inventory like this one, and we found that our homes host far more biodiversity than most people would expect." To be fair, there is a big disclaimer: Bertone's study only looked at 50 lucky homeowners' homes within 50km of Raleigh, the capital of North Carolina. That's a small sample size, and it's obviously biased toward the arthropod diversity of Raleigh. Nevertheless, the study offers a touchstone that entomologists (and paranoid laypersons) will now use to gauge their expectations about how many bugs they're sheltering. There's also a practical reason the researchers only visited 50 houses: the work was tedious as hell. Room by room, Bertone and his colleagues meticulously collected all the live and dead arthropods they could find, before proceeding to identify every individual specimen (over 10,000 in all) by morphology. In total, they found 579 different species belonging to 304 families. Within individual homes, the diversity was quite a bit lower: an average of roughly 100 species per house. But every home — and almost every room — harboured numerous tiny squatters. Some buildings are more bug-proof than others, but nobody's living alone. Here's the silver lining: the vast majority of species the researchers found aren't pests. They're harmless flies, spiders, beetles, ants and book lice. "They were either peaceful cohabitants — like the cobweb spiders (Theridiidae) found in 65 per cent of all rooms sampled — or accidental visitors, like midges and leafhoppers (Cicadellidae)," Bertone said. Still, it does make you think about home ownership differently. Have fun sleeping tonight.